This shopping mall with 7.5 lakh square feet of retail space is expected to open by March next year. Realty firm Gaursons is investing Rs 750 crore to develop a shopping mall in Noida Extension to tap business opportunities in commercial real estate which is doing well despite overall slowdown in the property market. This shopping mall, with 7.5 lakh square feet of retail space, is expected to open by March next year, Gaursons Managing Director Manoj Gaur said. Gaursons is developing a 240-acre township 'Gaur City' with an investment of Rs 5,000 crore and this mall will be part of this integrated project catering to 25,000 families. "There is currently no shopping mall in this area. We are soon going to fulfil this gap," Gaur said, adding that the company will be leasing the retail space in the mall that also houses a 9-screen superplex.Gaur, who is also Vice-President of CREDAI-National, said the project cost of this mall is Rs 750 crore to be funded through internal accruals and bank loans. The company has roped in retail and F&B brands such as Shoppers Stop, Lifestyle, Hypercity, Pantaloons, Marks & Spencer, Max Fashion, Reliance Trends, Croma, Fabindia, Globus, Food Court by Foodquest, Starbucks and Sagar Ratna, among others. 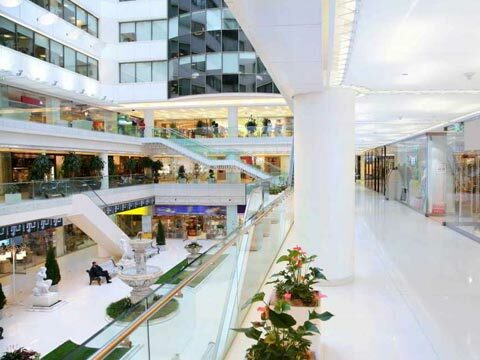 Gaur expects the mall to be successful as this would be the first mall in Noida Extension where 30,000 families have already started residing in projects of various developers. Over one lakh flats are being constructed in Noida Extension area, mostly in the affordable housing segment. Unlike the sluggish housing sector, Gaur said the commercial real estate is performing well with healthy demand for office, retail and hospitality spaces. Gaursons is developing another township on Yamuna Expressway on 300 acre land which it purchased from Jaypee Group in 2013 for over Rs 1,500 crore. It is also part of township 'Crossing Republik' in Ghaziabad, being constructed by seven developers.